Travelling has become a newfangled taste these days and it is a kind of trend among people to travel a lot and showcase their trip journeys to their friends and make memories for them. It is a good trend as because of such activities this world has become a global village and there are kind of no limitations and no boundaries to the thinking of people. Religious trips are not very common but these are really interesting. A person often travels with his or her family for religious trips. These trips are important to us in one or another way. We just cannot ignore these religious trips. We want to ask you one question. Have you ever been to Amritsar? If your answer is yes then you might have visited the great and beautiful historical and religious places in Amritsar and you know their importance to the society of Punjab. If your answer is no then you have missed a lot in your traveling life. Today we are taking you to the finest religious place in Amritsar. 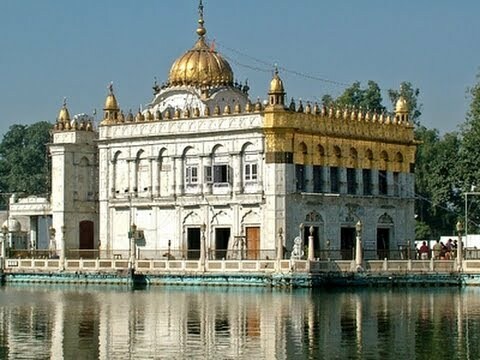 Although there are a lot of religious places in Amritsar today we are going to discuss a specific one and the name of this place is Durgiana temple. There are a lot of religious and sacred places in Amritsar and these all are places of great significance in our culture. Durgiana temple which is also known as Durgiana Mandir is no exception. It is a sacred place and is of great importance. Durgiana Mandir is in the holy city of Amritsar. Its exact location is kind of in heart of the Amritsar city. Durgiana temple is also called Lakshmi Narayan temple. It is a Hindu temple. Durgiana Mandir is similar in appearance to the famous Golden Temple in Amritsar. Durgiana temple is also a very famous temple and you can about this temple to any person in Amritsar and he or she will guide you through to Durgiana Mandir/Temple. What to see in Durgiana Mandir – Temple? There is a lot to see in Durgiana Mandir and it is not a small temple. It is a quite big temple and apart from one building, there are other buildings in Durgiana temple as well which one can see. In the temple complex, there is a beautiful pond as well where devotees of Goddess Lakshmi and Lord Vishnu take a dip. These people have immense respect for this pond. There is a fountain at the main entrance of the main building and there is a fountain show which is organized in the evening and people watch this show with great interest. There are so many statues in the temple and the most important one is at the entrance. This statue of the person who laid the architectural design of this temple. The name of this person is Gur Shai mal, Kapoor. There is also a sculpture of sitting Hanuman and it is found in the only Durgiana temple/mandir and that is why it is one of the kind in Durgiana temple. Other things to see are different temples other than the main Temple. There is bara Hanuman mandir. There is a temple dedicated to Mata Sita as well. Tulsidas wrote ramayana and there is a rare handwritten copy of ramayana in durgiana temple. There is a special mandir dedicated to tulsidas as well. Durgiana temple is in the heart of amritsar city and the distance of other places like Golden temple is also very less. There are other places which are nearby like Jallian Wala Bagh and there are some famous museums as well. Durgiana temple is a great holy place and it is a must visit a religious place where you can find much needed serene environment.